Home » Journal » Vol. 52, Issue No. 8, 25 Feb, 2017 » Can India Be A Beacon Of Hope For The World? S Parasuraman (sparasuraman09@gmail.com) is Director, Tata Institute of Social Sciences. This article is based on the Munro Public Lecture delivered on 15 November 2016 by the author. As our world rises to new heights of extreme inequality, the richest 1% of global population sits on more wealth than all the rest combined. Power and privilege skew economic systems more acutely, to widen the gap between the richest and the rest every day. The wealthy and their wealth are protected by intricate network of tax havens and state concessions. It is a world that is, as some commentators argue, getting as uncaring as it is becoming unequal. Where stands the war against poverty amidst this chaos? For sure, this war will not be won until the crisis of inequality is tackled now. Afghanistan, Angola, Burundi, Iraq, Liberia, Nigeria, Rwanda, Somalia, Sudan, Syria, Yemen are among those countries that are experiencing armed conflicts resulting in millions of civilian deaths, displacement, and people seeking shelter elsewhere. Increasingly, people in liberal, advanced economies in North America and Europe faced with uncertainty, discontent and fear seem to slide into violence and anger; and are engaged in a search to find their own relevance to their societies and the world. As his Holiness the Dalai Lama says, the refusal to be content merely with physical and material security, perhaps reveals something beautiful: a universal human hunger to be needed. The need of the hour is to work together to build a society that feeds this hunger (The Dalai Lama and Brooks 2016). India holds within a single nation, enormous diversities of spiritual experiences and religions, languages and cultural ethnicities, castes and gender, crafts and economies; and all the main fault lines that may trigger conflicts. Advances in the fields of technology, entertainment, healthcare, and consistent high economic growth rate, notwithstanding; India is also a land with vast numbers of poor, deprived and silenced people. Further, the nation is confronting its deep-seated caste and gender fractures in its societies. And for all its imperfections, the country has remained unified, democratic, respectful of diversities, and capable of creating better lives for its people and others. In its history, the sub-continent has been a stable leader in international trade, culture and civilisations for several millennia. It has had severe set backs in its secure position, particularly in the 150 years of colonisation. However, this is no reason to say that the country cannot aspire to be a beacon of hope in future - a progressive force - for our troubled times; particularly given that it is going to have the energy and potential of largest number of young people in the world (an estimated 356 million in the age group of 10-24 years). It can truly transform into a liberal, democratic society; which respects civil, political, social, religious, and economic rights of people; embraces diversity of identities and experiences; and refuses to tolerate discrimination and poverty. However, for this it has to bridge the gap between its struggling poor and prosperous elite. Protecting Those Most at RiskHow can this gap be bridged? To answer this question, this article looks briefly at the recent Social Protection Policies and Legal Measures taken by the state to protect its population most at risk; as well as the gaps in generating tangible transformation on the ground. It then goes on to look at key strategic areas for policy and implementation that can address key rural development challenges and poverty effectively. To begin with, on the ground, there are two collectivisation processes that show great potential: farmer producer companies and the self help group (SHG) movement. Self organised farmer groups and companies are peculiarly important to the country’s economy with its sizeable section of marginal and small farm holdings; and have demonstrated that they can play a critical role in transforming subsistence livelihoods to micro-enterprises. SHGs, of course, are more widely spread; and their benefits in empowering women as well as increasing their economic security are well recognised now. Another key strategic leverage is the 73rd Amendment to the Constitution accompanied by increased financial allocation and autonomy for local government bodies, as well as greater statutory representation of women in new tiers of leadership. How to energise and empower communities through the nurturance of young professionals working on the ground, to facilitate development and governance activities in a globalised world in a harmonious manner, forms the third focus of impact. Skill training, a key component in harnessing the country’s demographic dividend for the future, is the fourth leverage point; aimed not just at learning of mechanical skills required for industries but also skills related to entrepreneurship, non-farm sectors, and community and social development. India’s economic growth story of the past two decades has a recurrent theme, of accentuating insecurities for millions. Yet, there is a deep divide over how to distribute the fruits of its economic growth. How best to plough back the gains to achieve equality and social protection for everyone? Narrow thinking about social protection links it to a person’s status as a worker in the formal or informal economy. The broader, more fundamental meaning is to ensure universal protection from vulnerability and deprivation. An estimated 65 million people have experienced internal displacement due to development projects in India. Unless we work with the root meaning of social protection, millions of such internally displaced, homeless and destitute people will be left with no recourse. They will be pushed out to make way for economic growth; while remaining marginal to the benefits generated by the economy. Commitment towards social welfare is not without precedent in India. Article 41 asks the state to “within the limits of its economic capacity and development,” make effective provision for securing “the right to work, to education and to public assistance in cases of unemployment, old age, sickness and disablement, and in other cases of underserved want.” Article 42 directs the state to provide for secure, just and humane conditions of work and for maternity benefits. However, India does not explicitly recognise a national minimum social security cover. In recent years, civil society and judicial activism persuaded the government into partial fulfillment of its constitutional promise by creating legal guarantee for minimal nutrition and employment support resulting in enactment of Mahatma Gandhi National Rural Employment guarantee Act (MGNREGA) in 2005, and the National Food Security Act (NFSA) in 2013. Despite India’s status as a middle-income country, close to 350 million people live in absolute poverty. According to an affidavit presented to the Supreme Court in 2011, an estimated 30% of the people are poor. This calculation was based on the Tendulkar Committee Report; a government body tasked with the definition of an adequate poverty line for India. A great deal of debate followed thereafter, on this definition; screening the more critical questions. How do these 350 million people survive on Rs 32 per person per day in urban areas and Rs 26 per person per day in rural areas? How do they find resources in times of illness, old age, disability and death? And how can they protect themselves from slipping into deeper poverty? Social welfare pensions or non-contributory pension schemes may be one way to deal with the critical condition of the impoverished elderly. According to a recent International Labour Organization (ILO) report, less than a fourth of India’s population above the statutory pensionable age receive any kind of pension. The National Social Assistance Programme (NSAP) ( which was the first pension programme for the poor was launched in 1995; providing a pension of Rs 75 per month. A similar programme was started as a support for impoverished widowed women. Under India’s federal structure of government, both central and state governments share the financial burden for the program. In several states of India, the welfare pension amounts have been revised upwards; with northern states such as Himachal Pradesh, Rajasthan, and Bihar providing between Rs 300 and 400 per month; and southern states like Tamil Nadu and Andhra Pradesh providing Rs 1000 per month to destitute, widowed women and elderly. Though laudable in purpose, such pensions are variable and limited in scope, covering a narrow slice of eligible elderly and other distressed groups. Most poor people in the country today are working adults, employed in the informal sector. The National Commission for Enterprises in the Unorganised Sector (NCEUS) set up in 2004 came up with the not so surprising findings that over 91% of all workers in India are employed in the informal sector. Only 8% of India’s workforce received formal social security benefits, while 79% of informal sector workers lived on an income of less than Rs 20 a day (NCEUS 2009). Clearly, the gains of growth seem to have bypassed or yet to reach majority of the working population. Moreover, the Commission highlighted that there had been almost no growth in formal employment, since the early nineties. Almost all growth in employment took place in the unorganised sector since 1991. If economic globalisation is to improve peoples’ wellbeing and not bring them severe hardship, then the working poor needed social protection. A proposed national minimum security package for all unorganized sector workers that includes social insurance, social assistance for life and health, and old age benefits to all workers that was recommended by the NCEUS costs less than 0.5% of the GDP. The National Democratic Alliance (NDA) government is working on this recommendation. India has low insurance penetration compared with other emerging economies. According to recent data from the Insurance Regulatory and Development Authority of India, life insurance density in India increased from 9.1 in 2001 to 55.7 in 2010 and came down to 41% in 2013. Similarly, health insurance coverage fell by 15% between 2010-11 and 2013-14 to 216 million. This recent decline in population protected by health insurance is amongst persons covered by government health insurance schemes (Jain 2014). A study conducted in 2011 showed that health shocks added 4.4 percentage points to India’s poverty headcount ratio in 2004-05 (Ghosh 2011). That is, 47 million people fell into destitution because of high out-of-pocket medical costs (ibid). This is a grim enough official picture, but how close to people’s reality is this understanding of poverty? Poverty line estimations are fraught with controversies. The official poverty line based on minimum calorie intake counts includes only 22% of the people as poor. In this exercise of exclusion, only those in the most abject circumstances make the grade. Even a cursory scan of India’s human development indicators suggests a more widespread malaise; that newer benchmarks such as the empowerment line, developed by the McKinsey Global Institute capture more accurately. The Empowerment Line calculates the cost for an Indian household to attain basics needs, and compares these with actual consumption data, to measure level of unmet needs (Dobbs, 2014). Based on the empowerment line, 56% or 680 million Indians cannot meet their basic needs; floating somewhere above the poverty line threshold with only a tenuous grip on minimal standards of living, unable to withstand smallest of contingencies. While hunger is a daily fact of life for the poorest of the poor; 40 to 60% of the population lacks access to basic entitlements such as health care, drinking water, and sanitation (Dobbs 2014). There is an urgent need to broaden ways of assessing deprivation and vulnerability. Poverty and vulnerability might deepen, even as the nation forges ahead in economic growth. However, this future is not inevitable. 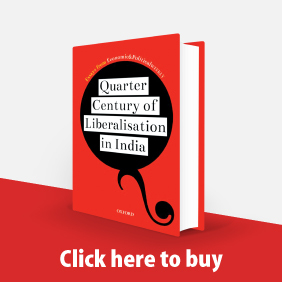 India is a democracy with a vibrant civil society, coalition politics, and an active press; and increasing evidence and realization that wealth creation without addressing deep-rooted inequalities is an insufficient progress. As a consequence, a scramble for policy solutions has been seen in the past two decades. Consecutive political regimes starting from 2000 have introduced a series of social protection and welfare measures; embedded in a largely rights based legal frameworks. The NDA government since May 2014 has strengthened and added to social protection measures created by United Progressive Alliance government. Government of India from 2014-16, using a basket of five social security schemes, has committed to reach an estimated 260 million people. The Pradhan Mantri Ujjwala Yojana (PMUY) is aimed at providing subsidised cooking fuel (LPG) to 50 million below the poverty line households. To be implemented in three years, the PMUY has a budgetary allocation of Rs 80 billion. Housing for all by 2022 is another ambitious scheme that aims to build 20 million houses in urban and 10 million houses in rural areas. Under Pradhan Mantri Mudra Bank Yojana (PMMBY ) small business owners will receive micro credit loans of up to Rs 1.0 million which they can repay in five to seven years. Approximately 120 million people have subscribed to two low premium state sponsored accident and life insurance schemes: Surakhsa Bima Policy and Jeevan Jyoti Bima Policy. 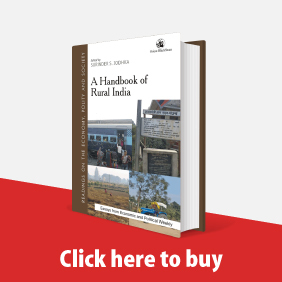 Even with rapid mobility along the rural-urban continuum, rural areas will remain home for a majority of the Indians. To provide for a holistic rural development, the Sansad Adarsh Gram Yojana (SAGY ) scheme aims to develop model villages with all social, welfare and infrastructure provisions. In urban areas, to create an enabling environment for industry and business, the government will support training of a skilled workforce. Another ambitious scheme aiming at incentivising employers to take on additional workers has been allocated up to Rs 10 billion in the union budget 2016-17, extending coverage to the remote Northeastern and tribal people inhabited regions. The Mahatma Gandhi National Rural Employment Guarantee Scheme (MGNREGS), introduced nationwide in 596 districts is the world’s largest public employment program; aimed at enhancing livelihood security of rural inhabitants; and ensures legal rights for at least 100 days of unskilled wage employment to willing adult members. Recent measures to improve quality and efficiency of implementation include priority to create private assets (houses, wells and toilets) for the poor, generating ownership and improving quality of work; and improved convergence between public works with programs on skill development, irrigation, and affordable housing and sanitation (Panagariya 2016). An outstanding step in social protection across the world, is the Food Security Act 2013 of India; an authentic pro-poor strategy to protect India’s millions of poor (who simply go hungry because they cannot buy their food). With the NDA Government pressing ahead to secure the consent of all the State Governments, implementation of the National Food Security Act is marching ahead. It is not a cheap, quick fix solution for the state, but involves prudent use of abundant food resources available in the country (Chopra 2015, Chandoke and Agarwal 2013). India has used a rights based approach to create social protection programs moving beyond limited conceptions of social safety net based on philanthropic largesse. Post the Washington Consensus, experiences from South America provided better understanding of the relationship between welfare and economic development (Kapur and Nangia 2015); including the success of longstanding conditional cash transfer programs (CCT). Evidence of glaring inequality and renewed interest in redistribution, as well as political demands from below are compelling governments to recognise their obligations to provide welfare to citizens directly, rather than leaving it to economic growth. Critically, the state’s new welfare obligations contradict the tenets of a growth-first development paradigm (Harris and Scully 2015). A confluence of factors including their success in Latin America raised enthusiasm amongst social movements and policy-makers for greatly expanded, and possibly universal, social protection programs in the country. Now it is recognised that the growth-first development often undermines social foundations of wellbeing of the people and their livelihoods; whereas improved welfare might itself be an engine of development — a prerequisite to, and not an outcome of, high levels of growth. While India consistently commits more public resources for social protection programs, millions of Indians continue to remain poor and deprived. Public spending for basic services rose by some 11% per year in real terms from 2005 to 2012, eventually reaching $ 118 billion. But about half of this spending did not translate into real benefits for the poor because of waste, corruption, and / or simple ineffectiveness. Rising government spending did result in poverty reduction, but inclusive growth could have generated better progress in addressing poverty (Dobbs et al 2014). The challenge of translating allocated resources into real transformation and tangible results to reduce poverty still remains. Key obstacles include the following: poor governance at all levels of the administration, especially at the district and sub-district levels; acute lack of accountability; and absence of trained and committed personnel on the ground to link people with development and welfare administration. Social protection policies and programmes contribute to inclusive, fair societies that guarantee a minimum standard of living for all. Some key thrust areas for the future include increased public social investment with accountability and transparency in deployment of resources leading to realisation of the economic and social rights of the population. Further, innovation focusing on co-creation of programs and ownership of people in implementation, enforcing better inter-sectoral coordination, and effective use of information technology (IT) and the linking with the Unique Identification System (Aadhar) could yield better outcomes for the people. Importantly, the Indian economy can afford such measures, especially in current times of relative prosperity, with government working aggressively to achieve ambitious annual growth rates. Even as the state’s self-interest combines with a growing sense of public duty towards its most disadvantaged citizens, it might that mean Myrdal’s pessimistic assessments and predictions do not materialise as (Rachel Sabates-Wheeler, Stephen Devereux, 2013). Poverty reduction in the country depends on success in three key strategic sectors: non-farm job creation, faster growth in agricultural productivity, and more effective delivery of services. For all three, it is important to strengthen participatory democracy through local self-governance institutions at the rural and urban areas; and empower women and men at the grassroots through collective efforts to lead the country’s transformation (Radhakrishna 2015). For India to be the hope for the world, it has to deepen participatory democracy by fostering the emergence of strong and capable collectives of farmers and women who innovate in agriculture and non-farm employment. Diversification of employment opportunities and household income sources, with the transition to an industrial economy led to poverty reduction in many East and South East Asian countries (Barker and Dawe 2001). Such pathways may not automatically emerge for India, where a large number of poor continue to depend on marginal and unirrigated land holdings. Reducing poverty clearly depends on increasing productivity of existing agricultural holdings, and expanding and diversification of the rural non-farm sector. At present, though the agricultural sector continues to face substantial challenges due to costs, poor market opportunities, environmental risks and uncertainties. To address these challenges, farmers are organising themselves into collectives and diversifying agriculture; and creating livelihoods through a spirit of entrepreneurship. Close to 70% of small holders in India farm limited land holdings of less than one hectare. The proportion of marginal holdings has grown from nine percent in the seventies, to 22% by 2011. Under such circumstances, a considerable challenge lies ahead to make farming gainful. Clear policies on consolidating farm holdings, building farmers’ collectives, innovative and cost effective solutions to promote production and marketing, and farmers’ access to various markets are needed (NABARD 2014). Technological innovations are critical for agricultural growth, but safeguarding smallholder livelihoods require additional strategies. Farmers’ collectives and farmer producer organisations (FPO) play a critical role in enabling farm and non-farm employment as demonstrated in several villages in Osmanabad district, western state of Maharashtra. To keep themselves secure, solvent and live sustainably, small farmers in drought-prone areas need access to information, inputs at affordable prices, ability to market and negotiate prices for their produce, and a say in agricultural policy making. In 2012, a determined district administration and non governmental organisations (NGOs) supported peoples’ groups financed by NABARD and public sector banks began the process of fostering FPOs and companies (FPCs) in Osmanabad administrative district of Maharashtra. A review of this program commissioned by the state government found that collectivisation of farmers resulted in crop diversification including the much needed shift from water intensive sugarcane, local production of seeds, improved agricultural productivity, and increased non-farm employment in enterprises run by farmers self-help groups (Swain et al 2015). According to this study, an experiment in one village swiftly moved to integrate a large number of villages where small and marginal farmers organised themselves into producer groups to engage in transformative action based on state-community-market / public-private models that can change lives of smallholders in the country. These collectives effectively reduced input costs for higher quality products and secured better markets for their current agricultural produce. In addition, they also invested in new enterprises such as floriculture suitable to their ecology. The Osmanabad model demonstrated the gains of collective farmer efforts that has galvanised the non-farm sector. Not only are local farmers diversifying their livelihoods to dairy, seed production, and food processing; a large number of small enterprises from school uniform shops to hair cutting salons have emerged in the villages; with the residents filled with a unique sense of inspiration and empowerment. 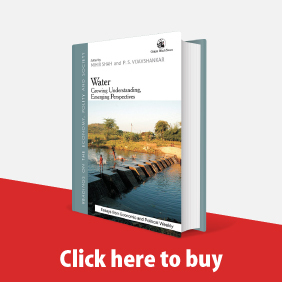 Another study of producer organisations in India by FAO (Thagat, 2016) highlighted similar advantages provided by FPOs to small rural producers: reduction in input costs, increased farmer capabilities to identify and participate in the profitable market opportunities; intensification of cropping under rain-fed conditions through methods such as in-situ water conservation, organic farming; and low dependence on external agricultural inputs. Thus, smallholders graduate from subsistence orientation to more profitable micro-enterprises. In short, FPOs are uniquely located to serve both goals of social equity given that many of them start with the social goals of reaching out to the poor, addressing rural indebtedness, and reducing environmental degradation; as well as the goals of tangible economic profitability resulting in their gaining the confidence. Women have organised themselves into self-help groups (SHGs) to create diversified and sustainable forms of livelihoods and entrepreneurship; initially as thrift and credit groups promoted by the NGOs, later facilitated by micro credit agencies, and now the Government of India supported National Livelihood Missions for Rural and Urban areas. Recent programmes such as the SHG-Bank Linkage Program (BLP) are now expanding to reach out to 100 million women (NABARD 2016). The SHG-BLP aims to effect social empowerment by supporting financial skill development in women SHG members, so that they may emerge as micro-entrepreneurs. Under the Micro Enterprise Development Program (MEDP) of National Bank for agriculture and Rural development (NABARD) launched a decade ago; 347,000 SHG members have been trained in different skill-sets. In 2016, the number of SHGs that were linked to banks increased to 7.9 million. Alignment between NABARD and NRLM/SRLM (National and State Rural Livelihood Missions) ensured that more SHGs received loans. Since 2013, NRLM has been working with its agenda to enable 70 million rural poor households to attain sustainable livelihoods through self-managed SHGs and federations (Thagat, 2016, RBI 2014). SHGs and their federations have already demonstrated their criticality across the country in collectivising women, generating rural livelihoods, and impacting poverty. The Kerala model of women’s collectives – Kudumbashree – is an example of large scale SHG organising that has created income generation opportunities as well as contributing to social development. Women members of SHGs across the country are involved in operating a range of micro-businesses including beauty salons, dairy and vermin-compost units, street food vending, candle making, and mushroom cultivation. For women, becoming entrepreneurs opened a different dimension in their lives. For some, it has alleviated the drudgery of travelling long distances for petty jobs and freedom from economic hardship. For others, it increased their confidence and enabled them to participate more equally in addressing collective concerns of their families and communities. Under the 73rd Amendment to the Constitution, states are empowered to take steps to organise village panchayats; and endow them with the necessary powers so that they may function as units of local self-government. As with the 74th Amendment, states are mandated to enact the Panchayati Raj law; and in some, this has seen the emergence of strong laws to establish elected self-government at the village level. The elected body along with the Gram Sabha (village council constituted by all adult members enrolled in the electoral lists) have the power to develop social and economic development plans for the village (VDP) in a participatory and inclusive manner, access programmes and schemes of the central and state governments, and facilitate convergence and implementation of the plans (Planning Commission 2012). The Panchayat Extension to Scheduled Areas (PESA) brought local self-governments to areas inhabited by tribal people (Scheduled Areas), so designated under Article 244. The principle of “free and prior informed consent” (FPIC) enshrined in international agreements for some years, and reiterated strongly in the recent UN Declaration on the Rights of Indigenous Peoples, is yet to be incorporated in domestic legislations in India. Some elements of FPIC have been incorporated to The Forest Rights Act 2008 and the PESA; that provide for consultations with tribal communities; particularly relevant where competing demands on land impinge on their rights. A key recent development is the increased financial autonomy of Gram Panchayats, with the proposed release of grants through the Fourteenth Central Finance Commission; removing a critical stumbling block in local self-governance. The reservation of at least one third of the seats to women through the 73rd Constitutional Amendment Act, 1992 in local government institutions aims to address widespread gender inequality in the political leadership our country. Now numerically, India has more number of elected women representatives (EWRs) than anywhere else in the world. A recent appraisal report by the ministry of Panchayati Raj counted 1.3 million women serving as EWRs in the local self-government institutions (PRI); constituting about 37% of all elected members. What is even more promising is that in a few States, the mandatory quota for reservation has been increased to 50%. While numbers are a starting point, real empowerment wherein women lead community well-being will require greater efforts from all stakeholders. Some challenges in implementing the 73rd amendment include inadequate clarity of functions, absence of funds at the gram panchayats, elite capture of institutions, and lack of capacities of elected representatives to perform constitutionally mandated tasks. In addition, elected women leaders face serious barriers resulting from lack of experience and societal and patriarchal bias. The operationaliaation of a new layer of women functionaries has also been quite challenging in many states. Evidence from Kerala, Tamil Nadu, Rajasthan and other states reveals that political empowerment of elected women has helped enhance their self-esteem, confidence, and ability to command respect from their families and society; and those who start as proxy representatives eventually evolve into proactive people’s representatives. Evidence from states with empowered EWRs show that they are more focused on development issues like health, education and livelihoods that tend to be overlooked by men (TISS 2016). However, the EWRs need support in terms of information and mentorship to take effective decisions. Despite numerous training programmes initiated by the state, some in association with civil society organisations, there are grave shortfalls in this mammoth capacity building task. State training institutions provide regular training to elected PRI members on their roles and responsibilities of PRIs, the administrative structure of the three-tier panchayat system, transparency and accountability, financial management and accounting, rural development programs and fund allocation, and social welfare schemes of line departments. Apart from this, attention also has to be given to the principles and strategies of good governance, sustainability and livelihoods; as well as to the nurturance of individual and collective aspirations through peer learning such as exposure visits. Recently, the National Commission for Women (NCW) has reiterated the critical need to invest in the capacity building of the EWRs. Educational institutions like the Tata Institute of Social Sciences (TISS) have been invited by the NCW and Ministry of Women and Child Development to develop innovative curriculum and training modules for this capacity building across the country (TISS 2016, MoWCD 2016). In addition, state governments, corporates and private trusts are willing to finance the training of village volunteers and facilitators. These facilitators would enable the realization of accountable and efficient local government systems; to plan, implement and administer local development programs and model village initiatives. Beyond grist of the mill of economic success of a few, could the youth also become dynamic agents of positive social change of the country and the world? Do they, more than their forebears, understand and feel compassion towards the suffering of others; fellow humans treading similar paths in the closely intertwined, globalised world? How can they be skillfully employed in the world in future, and use their very large demographic dividend to transform societies in just ways? The Prime Minister's Rural Development Fellows Scheme is an example of a programme of deploying skilled and committed development facilitators on the ground to realize the promise of the excellent legal and policy frameworks for decentralized development in India. Conflict situations highlight concerns about adequacy of grassroots level governance in India. Presence of conflict in the country can broadly be viewed through the lens of rising inequalities and disparities, displacement and dispossession; as is amply evidenced in literature across the world. It also lends urgency to reach development gains to people living in poverty in remote villages in the country. The pattern of growth in the Indian development scenario – as in other developed and emerging economies - seems to have left behind a large number of people in mineral rich, remote tribal and rural areas, dispossessed from their homes and livelihoods creating severe insecurity. 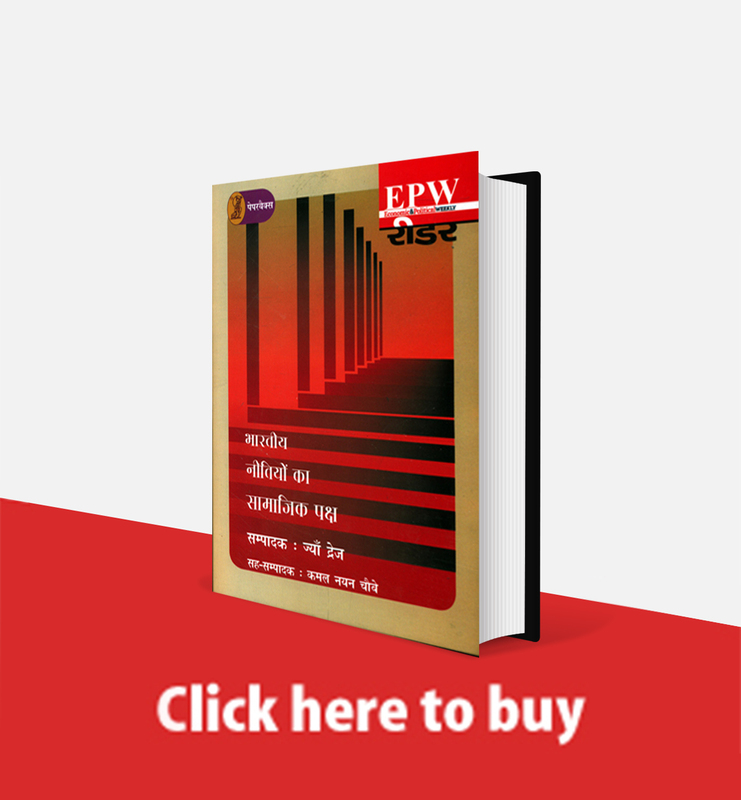 The increased violence taking the form of Left Wing Extremism (LWE) is supposedly aimed at revering the disruption in lives and other losses experienced by the impoverished tribal inhabitants of these areas. One of the effects of longstanding internal conflicts is a breakdown in communication between the state and local population. The Ministry of Rural Development (MoRD), Government of India (GoI) and with state governments initiated the Prime Minister's Rural Development Fellows Scheme (PMRDFs) with the Tata Institute of Social Sciences as the knowledge partner. This programme focused on poverty reduction and improving the lives of the people in Left Wing Extremism affected districts by deploying energetic and competent young professionals. These Fellows were mandated to provide decision support to district administration and instill confidence among key responsibility holders to work together for the social and economic transformation of conflict affected areas and communities (PMRDF 2014). From 2012-14, 300 dynamic young people worked in the fellowship in 111 conflict districts in 18 states on core development issues. At the end of the period, many of the Fellows moved on to work state governments and other development organizations. The experience of PMRDF and other fellowship programs show that a few million young people could be trained and placed to work with Panchyat Raj institutions and communities across the country to plan and deliver various development programs. For instance, committed and competent Village Development Facilitators (VDFs, like the PMRDFs) can play a critical role in realizing goals of priority public programs such as health, nutrition, drinking water and sanitation in local communities; as well as shoulder the significant human resources and finance management tasks of PRIs. In addition to strengthening governance and enabling policy convergence on the ground, such investments in identifying and building capacities of local change agents can also contribute to the collectivisation of citizens, expansion and diversification livelihoods, and emergence of entrepreneurship towards value-added local produce and non-farm employment. The task of empowering local leadership and enabling them to work with PRIs and communities is no doubt challenging, especially in an era of shrinking public finances. Alternative models that move beyond ad-hoc project mode must be explored. One possibility is to encourage public and private sector industrial corporations and business houses to adopt specific districts and sub district areas; and support training, deployment and monitoring of village development facilitators. India adds 12 million people to its workforce annually; of which most do not have any formal skills. Fewer than one in 10 adult Indians had any form of vocational training; and even amongst these, there is mismatch between skills possessed and formal skills sought by employers. Majority of work seekers had a hereditary skill or learnt on the job; with a mere 2.2% had received any formal vocational training. In comparison, 75% of the workforce in Germany and 80% in Japan have received formal skills training. Even among the BRICS countries, India lags behind: nearly half the Chinese workforce, for example, is skilled (Hindu 2015). A recent study indicated that 119.2 million skilled personnel would be required in 24 key sectors by 2022. By 2020, almost 60 per cent of India’s population of 1.3 billion will be in the working age group of 15-59 years. The present workforce data shows that 51% of an estimated 487.4 million working age adults are employed in the non-farm sector. This is likely to be the trend in the future (NSDC, 2014). Adequately skilled workforce is the need of the hour; if this demographic development is to be a positive force; and not result in catastrophic deprivation. However, this could change if we reach out to more people with quality learning opportunities, revamp our existing infrastructure, and execute plans more efficiently by making better use of monetary and resource support available (Hindu 2015). The National Skill Development Corporation (NSDC) was formed to facilitate skilling and up-skilling of 150 million people by 2022, through fostering private sector initiatives in the skill development space. NSDC provides funding to build scalable, for-profit, vocational training initiatives. Over the past four years, its partners have delivered over two million skilled people in more than 25 sectors. In July 2015, the Prime Minister launched an ambitious mission to impart skills training to 400 million people by 2022. The government also created a dedicated Ministry for Skill Development and Entrepreneurship. As with India’s university graduates, the majority of those who received skill training remain unemployable with only 36% of those trained between 2010 and 2015 becoming employed (NSDC, 2016). Appropriate and affordable training institutes with the curriculum geared towards market needs and employability are largely missing. The work-integrated model of vocational education based on the German vocational education model is designed to be implemented through a highly scalable network of training and industry partners across regions. Emphasis is on practical training / internship at the industry location with a training curriculum closely aligned to latest industry needs. Greater foresight over curriculum and detailing of content, transparent assessment methodology and certification may ensure high quality standards. This then would be the base for a national vocational university with a work integrated training approach for curriculum development and periodical review, quality assurance, assessment and certification. India has inherited many traditions of equal and collective governance, sound economic management practices, as well as the ability to retain specific diversities while working together. More critically, it has retained its traditional ardour of philosophic inner enquiry into human nature, peace and progress, beyond specific religions and identities as well as preoccupations with purely material gain. Certainly many of these traditions are being challenged in a globalised world; and rightfully so in some cases, particularly in the case of gender and caste fractures that severely disable Indian societies. However, emerging evidence also points that in many instances, the past principles of unity with diversity that characterised the sub-continent have confronted their challenges successfully: modernity on the one hand and their own inner fragmentations on the other; however transformed their forms, thinking and action might appear now. Now, the Government of India is engaged in several concerted actions: an ambitious economic reform agenda; announcement and allocation of resources for a range of social protection measures; and a strong commitment to good governance. MGNREGA, the Right to Education Act, the Food Security Act and systematic investment in public healthcare (so that 85% of the total health spend is not from private households) if properly resourced and implemented, will constitute a giant step in solving the problems of inequality that plague a progressive and healthy India. For this, the costs for the nation are extremely moderate. About 1.5% of the GDP is what it will take to offer education for all, and 3.5% of GDP for universal healthcare. In contrast, the country spends 3% to 5% of GDP on tax concessions to business. India has some of the most enabling economic, political and demographic conditions; and certainly the resources for it; but the question remains as to whether we have the will. By showing authentic concern for its most vulnerable citizens and unveiling meaningful pro-poor strategies for half a billion people, India has the potential to indeed demonstrate a possible new direction to the world and other South Asian nations. This then would certainly make the 21st century into the much talked about “Asian century”. Alakh N Sharma Diksha Arora (2015): “Social Protection in India: Issues and Challenges”, Institute for Human Development, Delhi. Amrita Narlikar (2007): “All That Glitters Is Not Gold: India's Rise to Power”. Third World Quarterly, Vol 28, No 5 (2007), pp 983-996 Published by: Taylor & Francis, Ltd.
Arjun Sengupta, K P Kannan, G Raveendran (2008): “India’s Common People: Who are They, How Many are they and How Do they Live?” Economic and Political Weekly, March 2008. Deepankar Basu, Debarshi Das (2014): “Poverty-Hunger Divergence in India”, Economic and Political Weekly, January 11, 2014 vol xlIX no 2. Glyn Williams , Binitha V Thampi , D Narayana , Sailaja Nandigama &Dwaipayan Bhattacharyya (2011): “Performing Participatory Citizenship – Politics and Power in Kerala's Kudumbashree Programme”, The Journal of Development Studies Volume 47, 2011 - Issue 8: Special Issue on Social Capital. Government of India. 2008. “Rapid poverty reduction”. In Eleventh Five Year Plan (2007–2012) Volume III: Agriculture, Rural Development, Industry, Services and Physical Infrastructure, 79–103. New Delhi: OUP. Government of Maharashtra (2015): Economic Survey of Maharashtra, 2014-15, Mumbai. Livemint (2016): “How Maharashtra is changing the way farmers sell their produce” October 18. Los Banos, Philippines: Keynote Address, International Workshop on Medium and Long Term prospects of Rice Supply and Demand in the 21st Century, International Rice Research Institute. Narrod, C, D Roy, J Okello, B Avendaño, K Rich, and A Thorat (2009): “Public– Private Partnerships And Collective Action In High Value Fruit And Vegetable Supply Chains”. Food Policy, 34(1), 8-15. National Commission for Enterprises in the Unorganized Sector (NCEUS), (2009): The_Challenge_of_Employment_in_India (NCEUS report, volume 1 & 2), April 20, 2009. 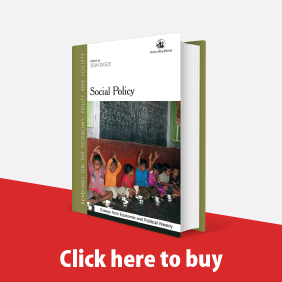 Neera Chandoke and Sanjay K Agarwal (eds) (2013): Social Protection Policies in South Asia. New Delhi: Routledge, 2013, 268 pp. Richard Dobbs and Anu Madgavkar (2014): “Five Myths About India’s Poverty” McKinsey Global Institute, London. Robins, S, Cornwall, A and von Lieres, B (2008): Rethinking ‘citizenship’ in the postcolony. Third World Quarterly, 29(6): 1069–1086. Sasmita Swain, Gunvant A Birajdar, Sri Krishna Sudheer, Arijita Sen, Harshita Jamba and Sathvik Gadvi (2015): “Status of Farmers Producer Groups in Osmanabad District”, TISS Tuljapur Campus, Tuljapur. Shekhar Gupta (2016): “Soft Power, Hard Battles”, National Interest Column, Mediascape, 21st October 2016. Hindu (2015): “The Challenge of Skills and Jobs”, September 28, 2015. Hindu (2016): “Two years of Modi government: a review”, May 26. Venkatesh Tagat (2016): “Financing for Former Producer Organisations (FPOs) - Focus on Transforming Agricultural Lending”, NABARD, Mumbai.